I will be revising my manuscript for my book in April 2019. I hope to remove many pages and add a few more new chapters on doctors whom I was not able to include before. I hope to add new photos which I continued to receive post publication. You can check the old chapters online on Google. Please submit corrections to me. I have retired and now work from home. Please email me on Gmail: faridahar@gmail.com. Please let the doctors' families and relatives know, especially those whom I missed in the first book published in 2012. I'm still looking for portraits and biographies of Dr Abdul Samat bin Hj Pagak, Dr SH Aljunied, Dr Nizamuddin and others. The Raub Australian Gold Mine operated in Raub while tin mining was operated by the British in Sg Lembing. 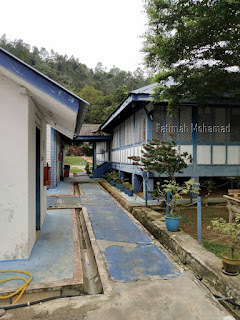 Raub was producing much of Malaya's gold, that it was more appropriate to call it El Dorado. 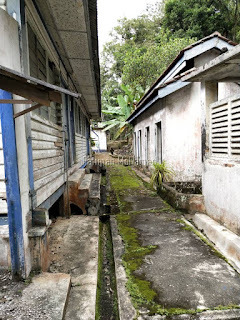 Sg Lembing was also nicknamed El Dorado because of the immense wealth it brought to its associated communities. 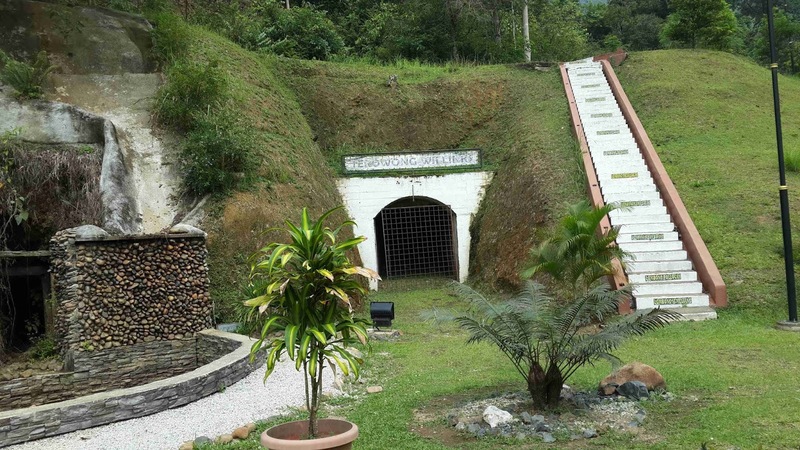 Two big iron deposits in Malaya were Bukit Besi in Terengganu and Bukit Besi in Kuala Krai, Kelantan. 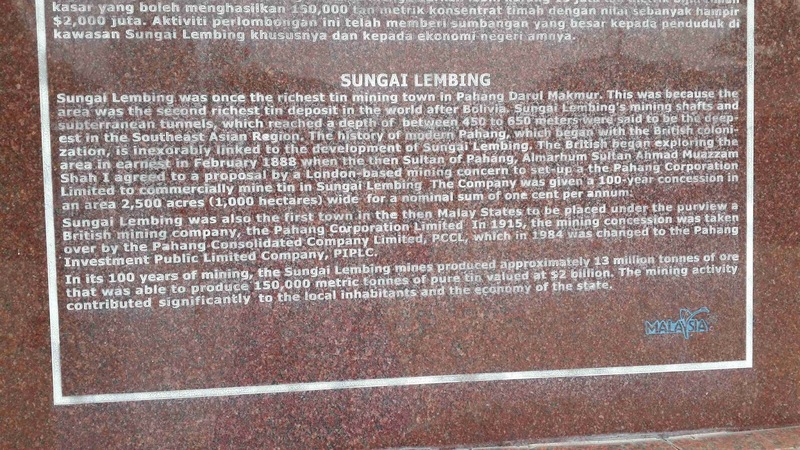 Sg Lembing was once the richest tin mining town in Pahang Darul Makmur. This was because the area was the second richest tin deposit in the world after Bolivia. 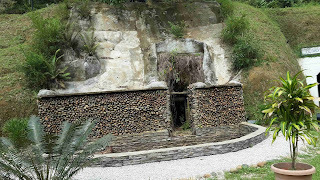 Sg Lembing's mining shafts and subterranean tunnels which reached a depth of between 450 to 650 metres were said to be the deepest in Southeast Asia. The history of modern Pahang, which began with the British colonisation, is linked to the development of Sg Lembing. Sultan Ahmad Al-Muadzam Shah Ibni Al-Marhum Bendahara Sri Maharaja Tun Ali (23 May 1836 – 9 May 1914) was the sixth Raja Bendahara of Pahang and the founder and first modern Sultan of Pahang. 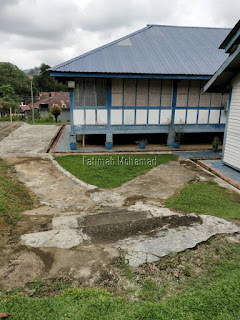 Commonly known as Wan Ahmad before his accession, he seized the throne in 1863 after having defeated his elder brother Tun Mutahir in the Pahang Civil War, assuming the title Sri Paduka Dato' Bendahara Siwa Raja Tun Ahmad. In the early years of his reign, Pahang descended into turmoil, with various attempts made by the surviving sons of the late Tun Mutahir, based in Selangor, to overthrow him. 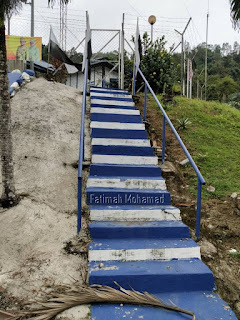 This led to Pahang's decisive involvement in the Selangor Civil War that successfully brought it to a conclusive end. The successive wars that ravaged the land had led to the rise of dissension among the ruling class and territorial chiefs who were thenceforth divided into factions. 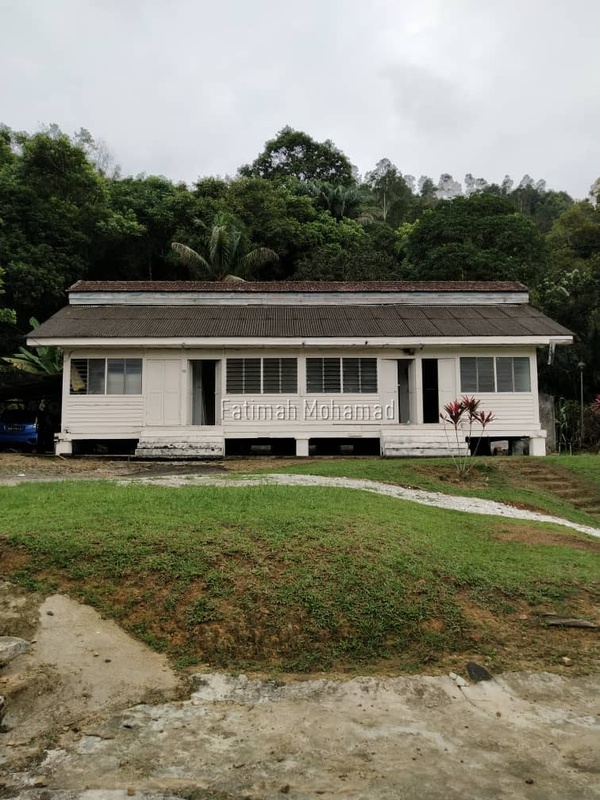 In 1881, prompted by his dwindling authority both within Pahang and among his counterparts in the western Malay states, Ahmad took upon the title of Sultan Ahmad al-Muadzam Shah and formally proclaimed as Sultan by his chiefs two years later. 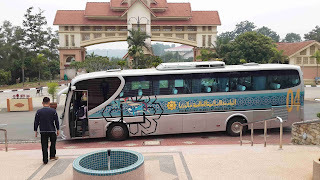 The event marked the revival of Pahang as a Sultanate after more than two centuries of union with the crown of Johor. Ahmad gained formal recognition from the British Straits Settlements government in 1887, in return for signing a treaty with the British which compelled him to accept a British Agent in his court. During his reign, Pahang politics came under the purview of the British government. Increasing pressure was exerted upon the Sultan by the residing British Agent to administer the state according to the British ideals of just rule and modernisation. This had effectively plunged the state into a seething cauldron of discontent with clashes between traditional chiefs and the British. 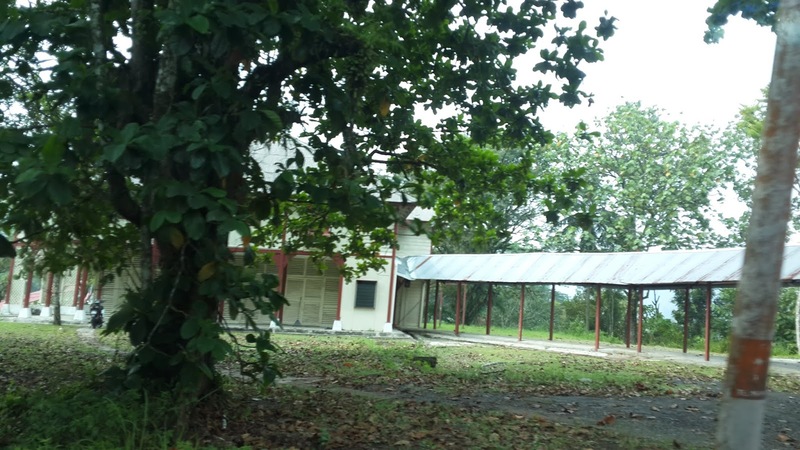 The British ultimately compelled Ahmad to put his state under the British protectorate in 1888 and John Pickersgill Rodger was appointed Pahang's first Resident. The work of building up a State administration began with the creation of the Supreme Court, a police force and a State Council. In 1895, the Sultan entered into a Treaty of Federation to form the Federated Malay States. Ahmad transferred his executive and administrative powers to his eldest son Tengku Long Mahmud, due to old age in 1909, retaining his position and titles as Head of State until his death in 1914. 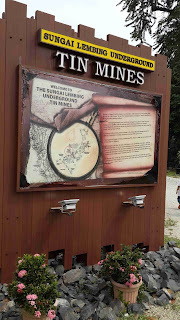 The Chinese miners were the first to mine tin ore in Sg Lembing. They started mining on small scale since 1886. This then gave way to the British miners. 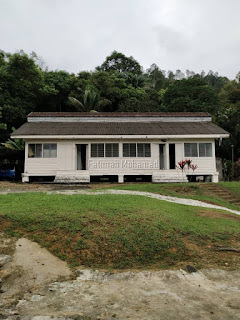 The British began exploring the area in earnest in February 1888 when the then Sultan of Pahang, Almarhum Sultan Ahmad Muazzam Shah I agreed to a proposal by a London-based mining concern to set up the Pahang Corporation Limited (PCL) to commercially mine tin in Sg Lembing. The Company was given a 100-year concession in an area 2,500 acres (1,000 hectares) wide for a nominal sum of one cent per annum. 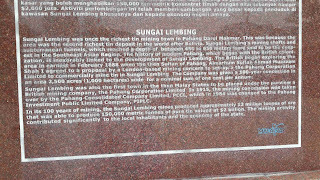 Sg Lembing was also the first town in the Malay States to be placed under the purview of a British mining company, the PCL. In 1915, the mining concession was taken over by the Pahang Consolidated Company Limited (PCCL), which in 1984 was changed to the Pahang Investment Public Limited Company (PIPLC). Rocks containing tin ore were crushed inside the caves and tunnels in Sg Lembing. These were then placed in wooden barrels on trains and brought to the nearest river port on Sg Kenau. They were milled and then transported down the river to ships in the harbour at Kuantan. These ships shipped tin ore to Britain. 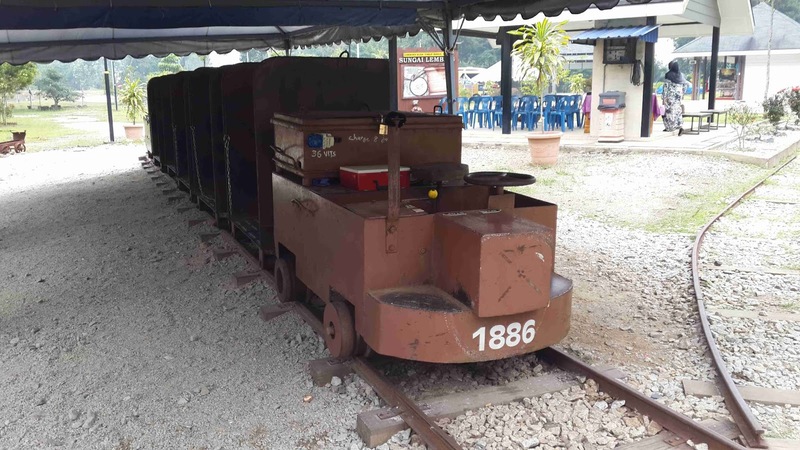 In its 100 years of mining the Sg Lembing mines produced approximately 13 million tonnes of ore that was able to produce 150,000 metric tonnes of pure tin valued at $2 billion. The mining activity contributed significantly to the local inhabitants and economy of the state. 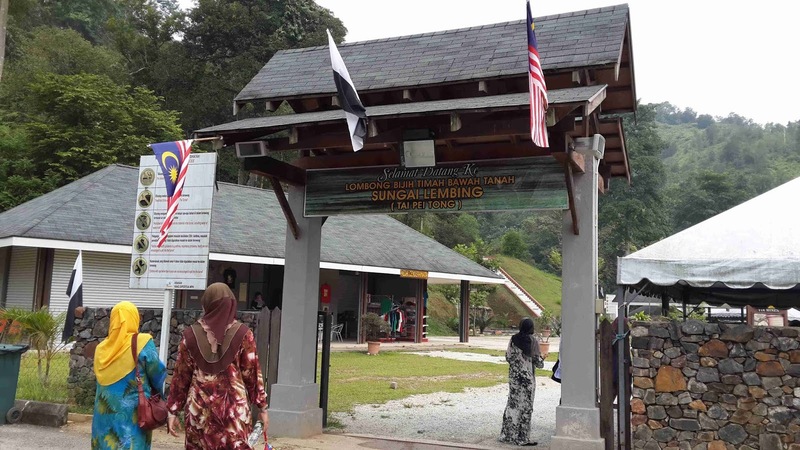 I visited the Sg Lembing tin mine after the ICOMMM2015 international conference organised by UIA. We took the UIA bus to the tin mine. It was a hazy morning. I didn't like the visit because the tunnels were dark and smelly, quite dangerous as the ground was wet and slippery in several areas. Claustrophobia was a problem. I liked the adventure but would have enjoyed it more if I was a lot younger or a teenager. The tunnels leading inside the mine were safe and secured with cement walls, steel beams and cables etc, just as for bridges. The engineering feat is great and should be applauded. Ventilation was sufficient and was provided by natural air holes and those built by the British engineers back then. Large fans have been put in place, but adjusting to tunnel or cave environment raised anxiety. There were no food stalls on the grounds of the tin mine. We brought our own water bottles and buns, which we ate on the bus on the way home. 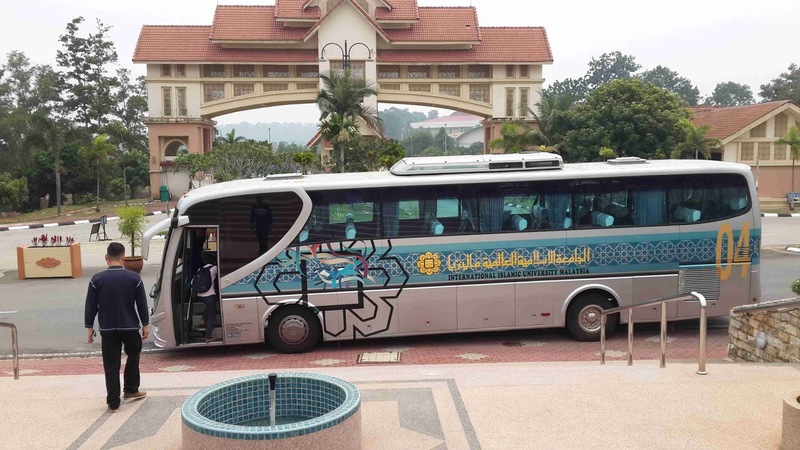 I thank UIA for making this trip possible. 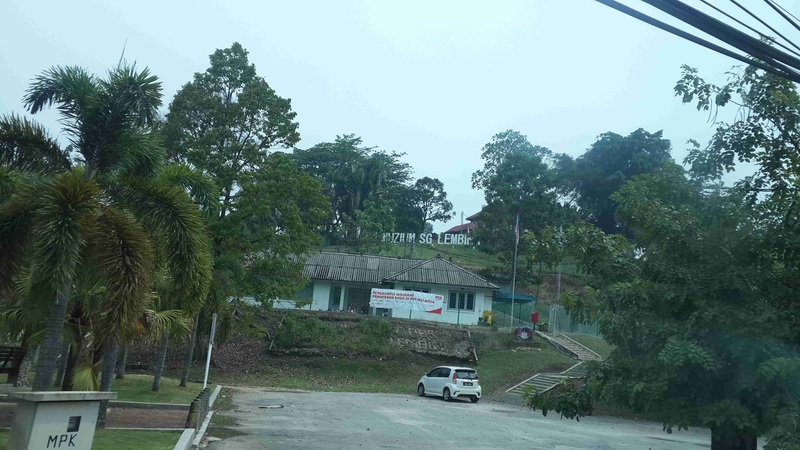 Muzium Sg Lembing up on the hilltop. Archway to the Sg Lembing tin mine. All vehicles must park outside in the big loose gravel parking lot. No vehicles are allowed on the grounds of the tin mine. Visitors have to walk in and purchase their tickets at the small building on the right just after the arch. Tour guides drive this open rusty metal train with metal seats and take visitors into the tunnels of the mine. Each tour is about 30 minutes. Sg Lembing, Raub and Kuala Lipis are prone to flooding. Disaster struck in December 1926 when the entire Sg Lembing town was submerged by one of the worst floods in Pahang's history. Food stocks were destroyed. 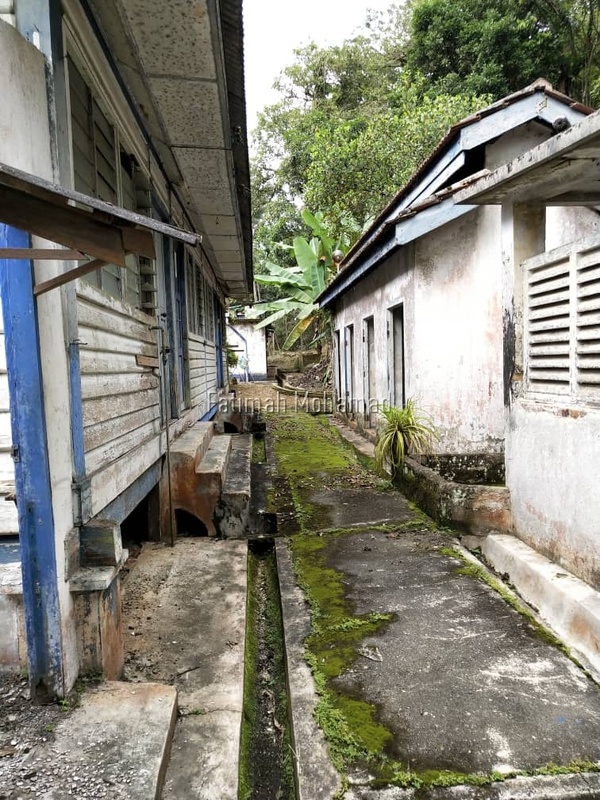 Homes, hospital and schools were submerged, with plantations covered in 3 feet of mud. 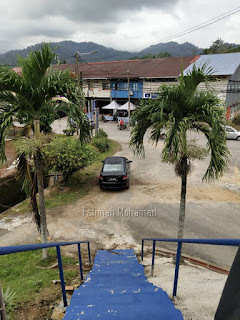 All communication lines with Kuantan were destroyed. Food rationing began, and the town lived under seige-like conditions for 2 months. All mines, except the principal Willinks mine, were abandoned due to flooding and the mining ceased for 3 months. Life only returned to normal 4 months after the flood had subsided. However, the PCCL suffered £53,176 (RM265,880) in repair cost and £60,000 (RM300,000) in loss of profits. In those days, such losses usually meant the end, but, the PCCL soldiered on before it finally closed down in 1986 due to high operating cost, falling tin output and fall in tin prices. The price of tin was $474 per picul. Rubber and tin prices rose appreciably yesterday, rubber by 3 cents per lb and tin by $3 per picul. [One pound sterling equals RM5.33 (5 Feb 2019)]. Disastrous floods in Pahang. Havoc in tin mining area. 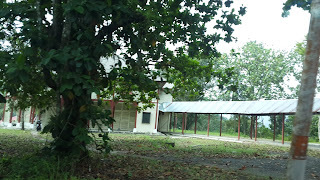 The old Sg Lembing Police Station was built in the 1960s. 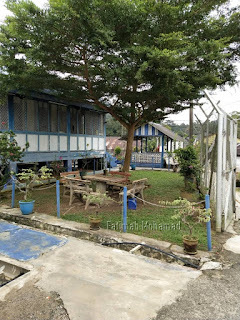 It is now defunct and has been given Warisan status. 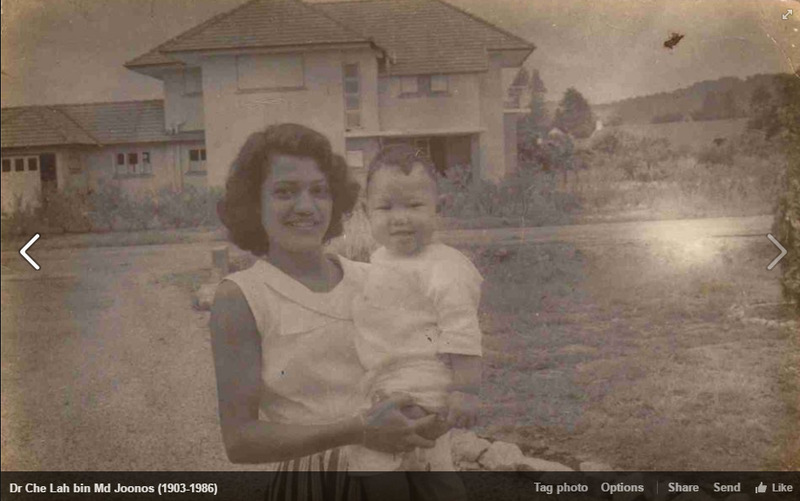 My ex-classmate's parents had lived in Sg Lembing when her father was a policeman and posted to Sg Lembing Police Station. 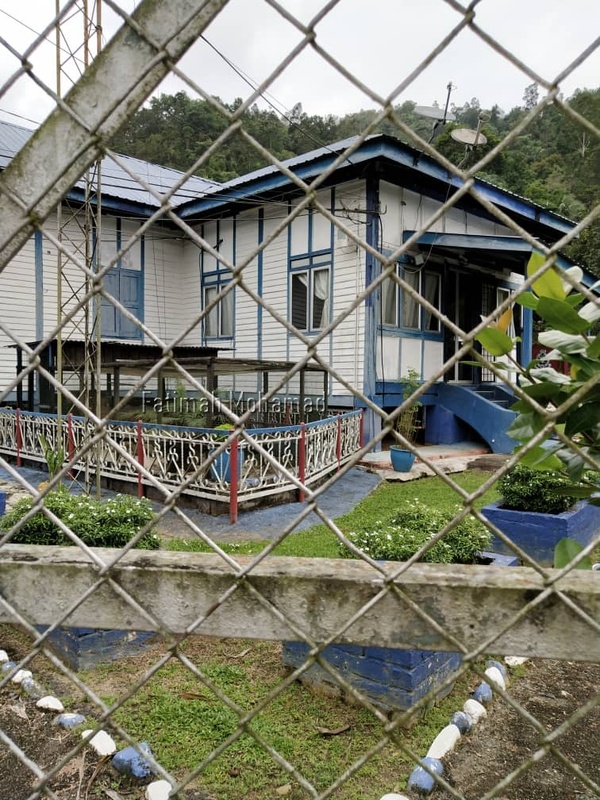 The family had lived in the police quarters. 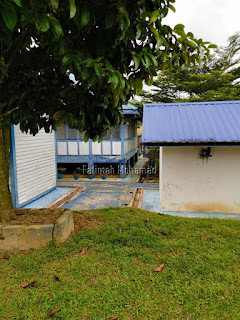 The following photos are by Fatimah Mohamad. 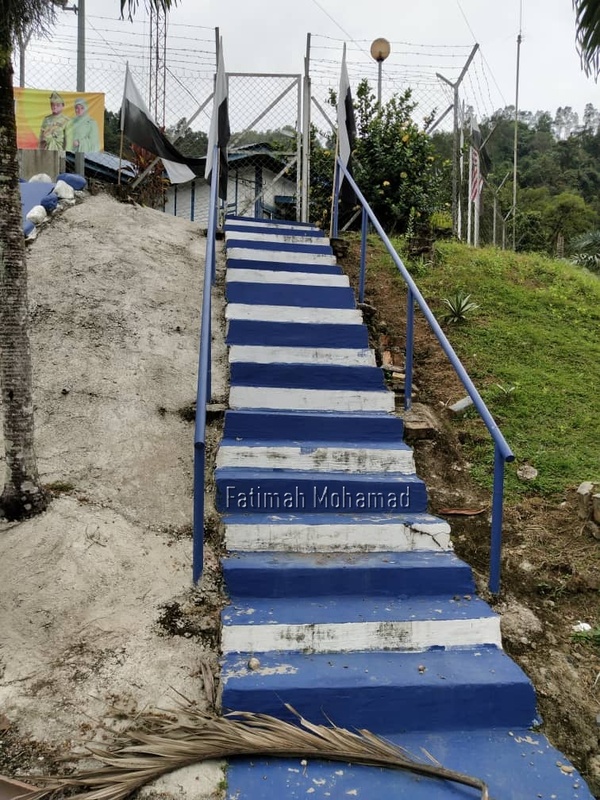 She, her 2 sisters and their mother visited Sg Lembing Police Station in early 2019. Housing quarters for policemen's families. 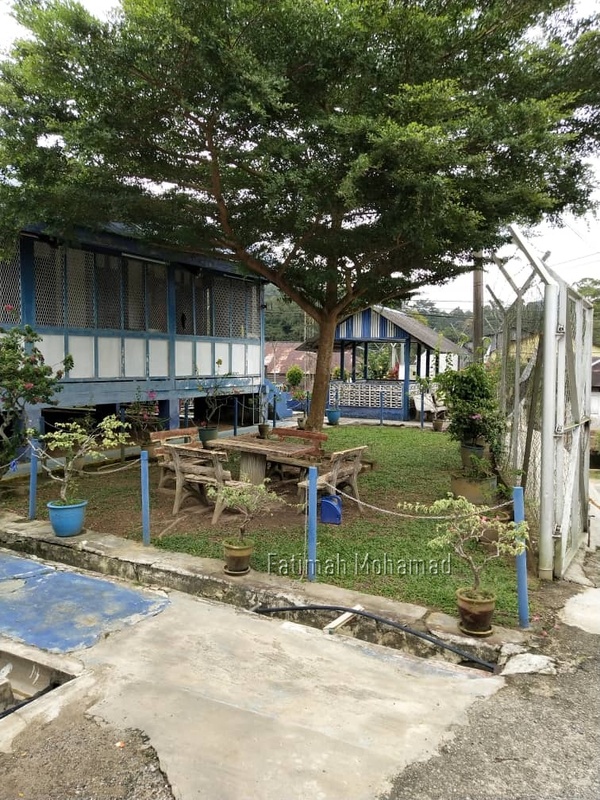 Four early Malay doctors served in Pekan & Kuantan, Pahang. 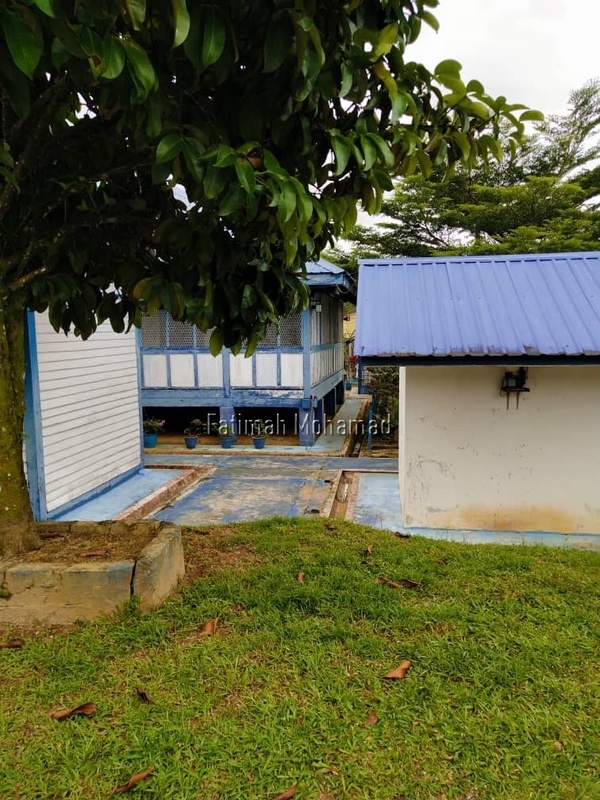 They were Dr Pandak Ahmad bin Alang Sidin, Dr Che Lah bin Md Joonos, Dr Mohamed Said bin Mohamed and Dr Mohamed bin Taib (dentist). They were also royal doctors who attended to the Sultan's family. 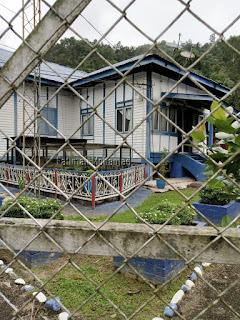 In Pahang, Dr Che Lah had lived close to the Pahang Mentri Besar's residence. 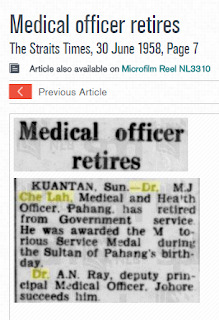 His last place of work in the Govt Medical Service in Pahang. Dr Che Lah bin Md Joonos seated 5th from left. 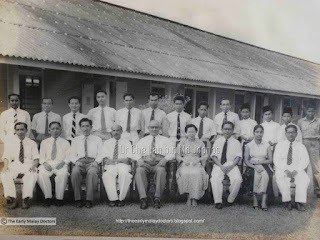 Dr Che Lah was awarded the Meritorious Medal Award by Sultan Sir Abu Bakar on 30 June 1958. 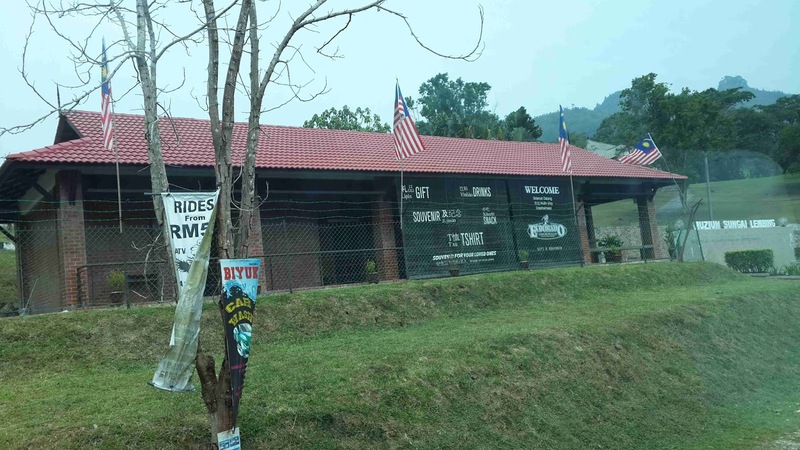 There were no roads from Singapore to Kuala Lipis till the 1890s. History of Medicine in Malaya - Who were the early Malay doctors? 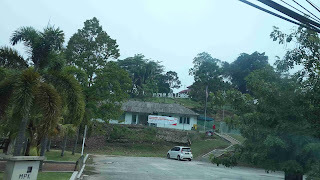 nursing college in Kubang Kerian. 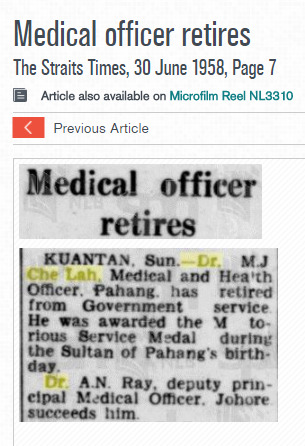 Copyright (C) The Early Malay Doctors. Powered by Blogger. Copyright © The Early Malay Doctors. All rights reserved.